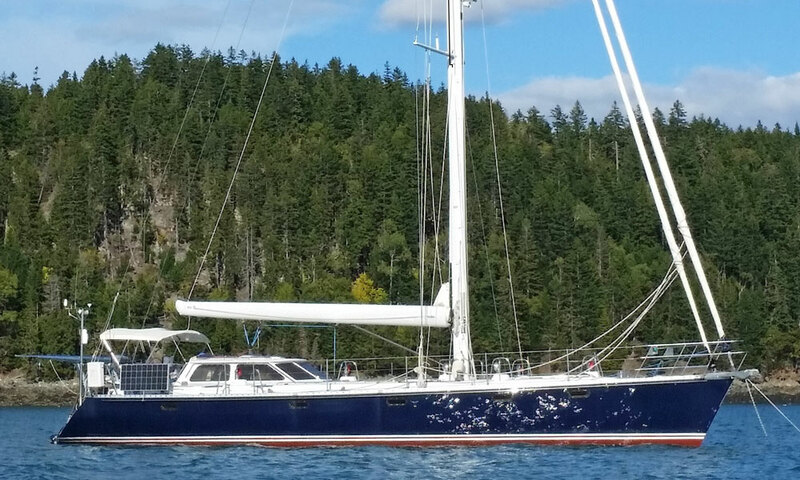 Welcome to this ever-growing gallery of some of the most popular production cruiser yachts of more than 55 feet (16.8m) long overall. 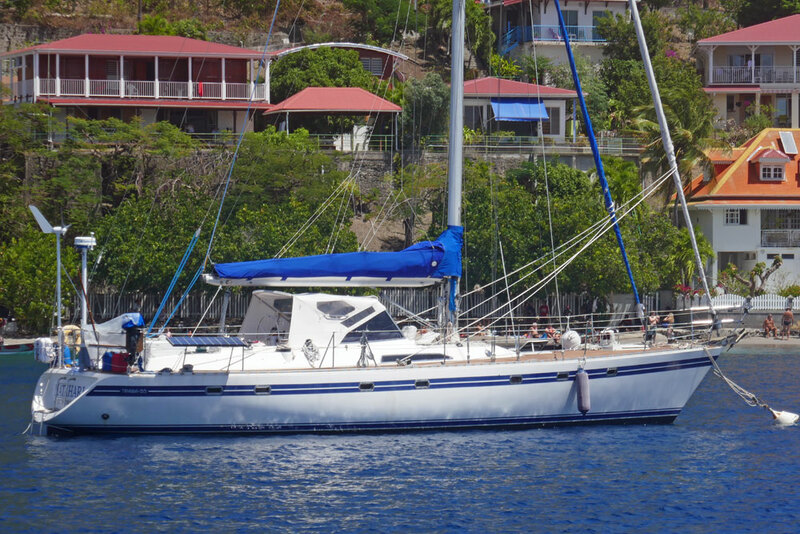 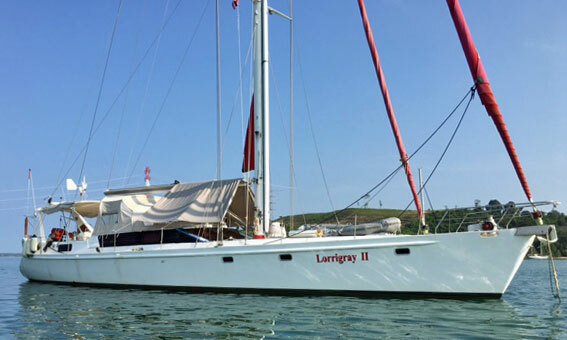 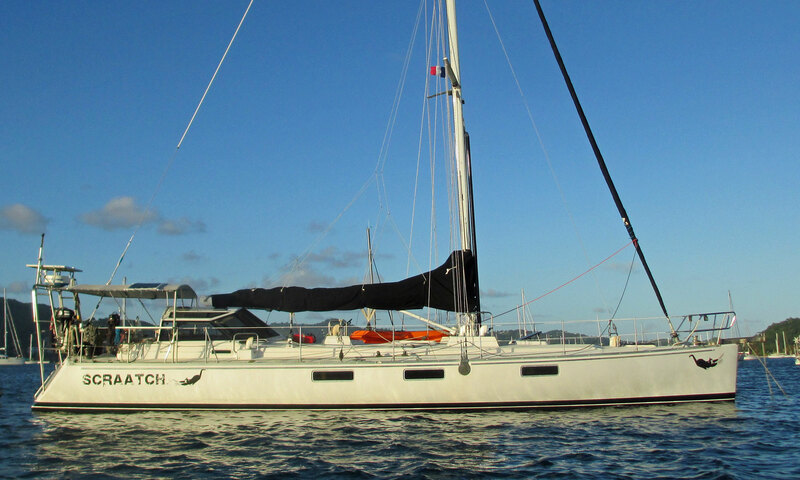 Many (but not all) large cruiser yachts like these need powerful sail handling systems and a strong crew to operate and maintain them, putting them well out of the reach of all but those with the deepest pockets. 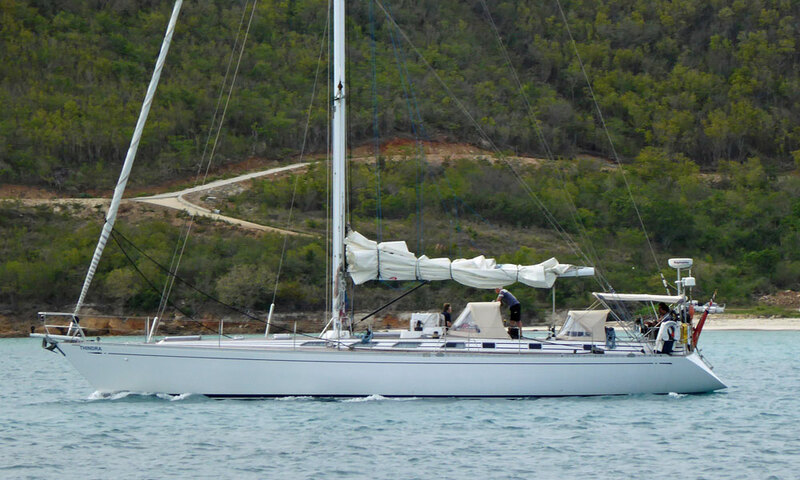 Having said that, some are designed to be cruised by a cruising couple - the Apogee 58 is a good example of one such boat. 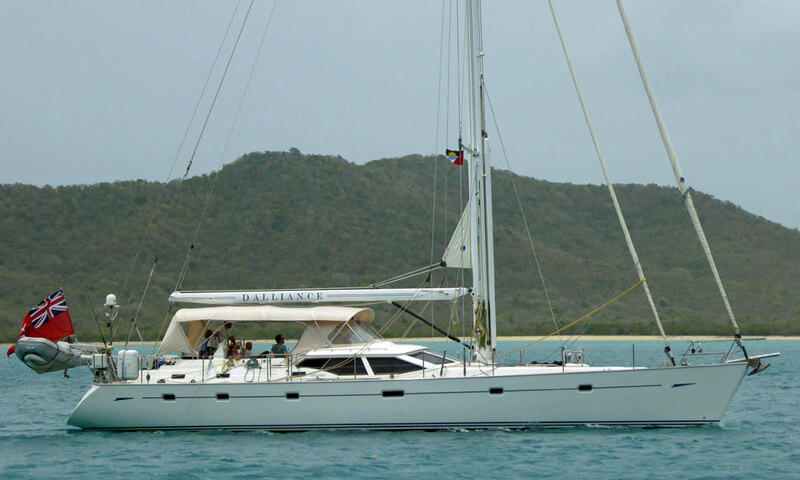 Many of them have to earn their keep as luxury charter boats, particularly in the warm waters of the Caribbean or Mediterranean where they will cater for three or more couples at a time. 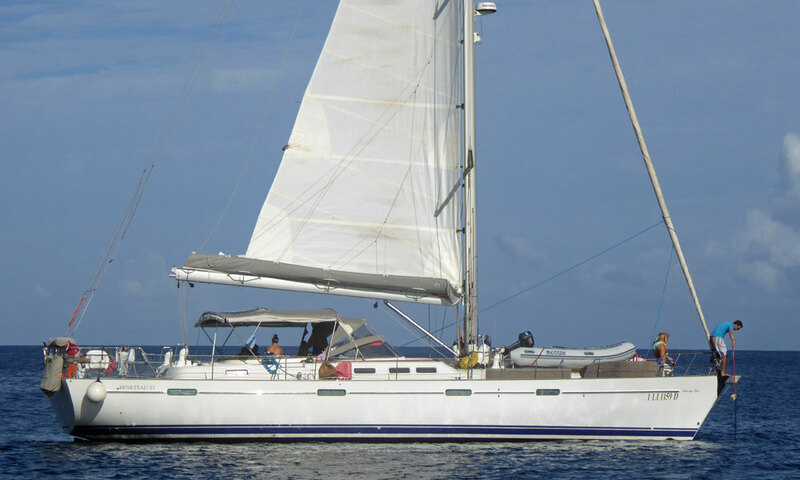 And while such an exclusive holiday may represent good value for such a charter group, it won't be cheap! 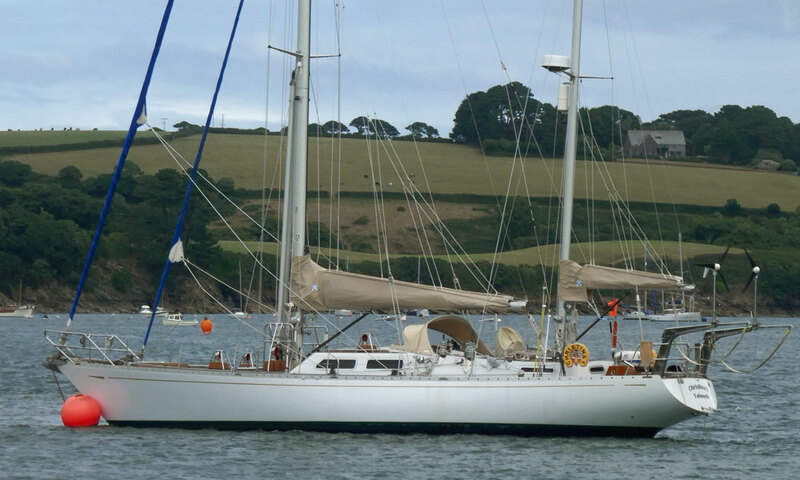 'Ocean Joy', an Ocean 71 regularly sailed by a crew of just two! 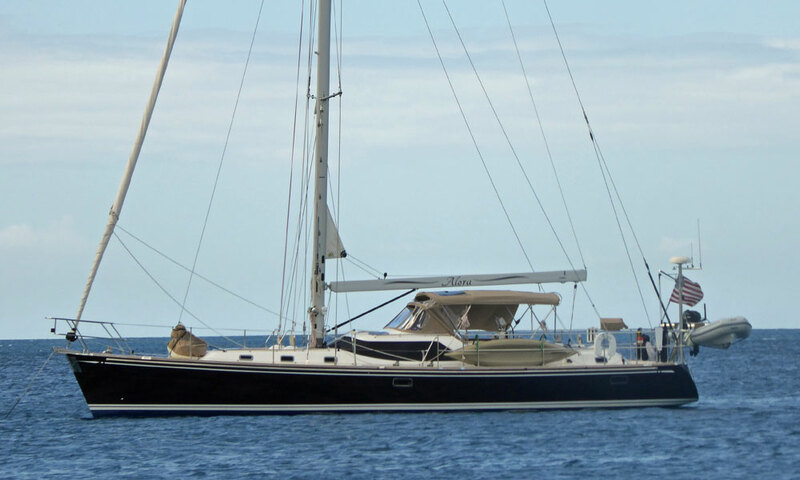 'Scraatch', a Sundeer 56 long-distance cruiser at anchor off Ste Anne, Martinique. 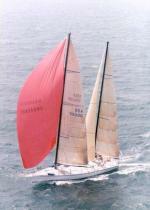 Just a headsail and a mainsail - simple and efficient. 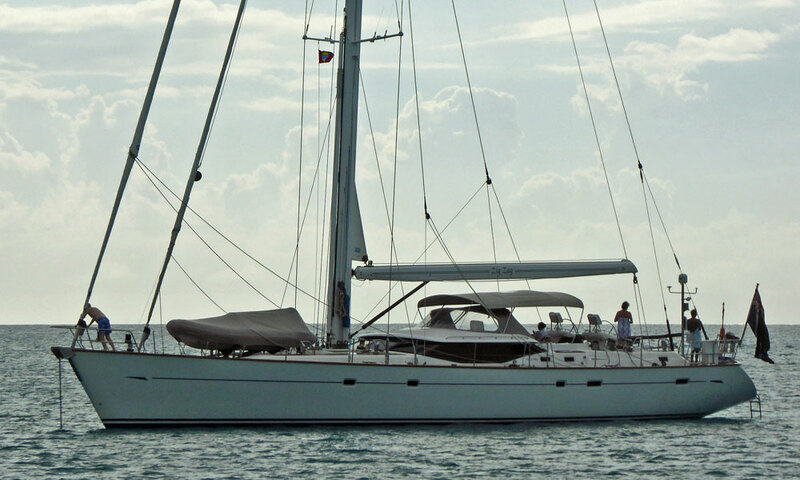 A smaller headsail and a staysail makes sail handling easier. 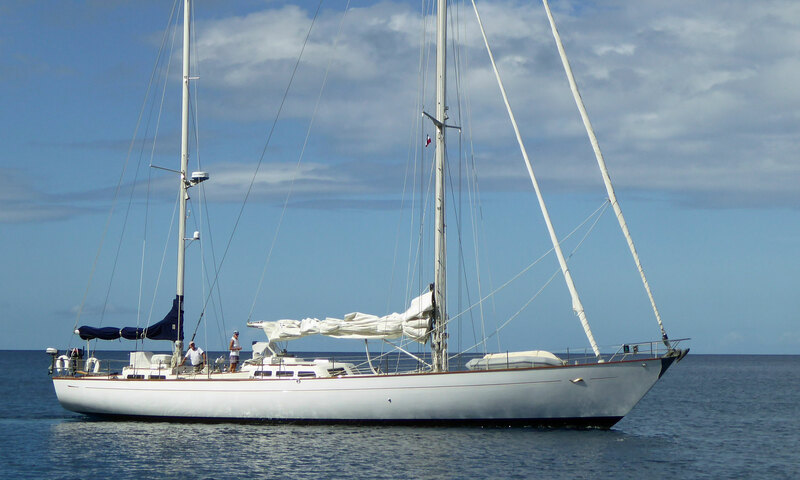 A second mast with a mizzen sail, for greater versatility.